© Stuart Rankin. Licensed for reuse under this Creative Commons Licence. There are two questionnaires, one for citizens and one for legal entities and journalists. The consultation will run from 13 November 2017 until 23 February 2018. Check the page on Europa for more information and for links to the questionnaires. © AV Dezign Licensed for reuse under this Creative Commons Licence. Completely fabricated news stories with the deliberate aim of misleading people has become an increasingly common phenomenon on social media making it difficult sometimes to know if what you are reading is fake news. 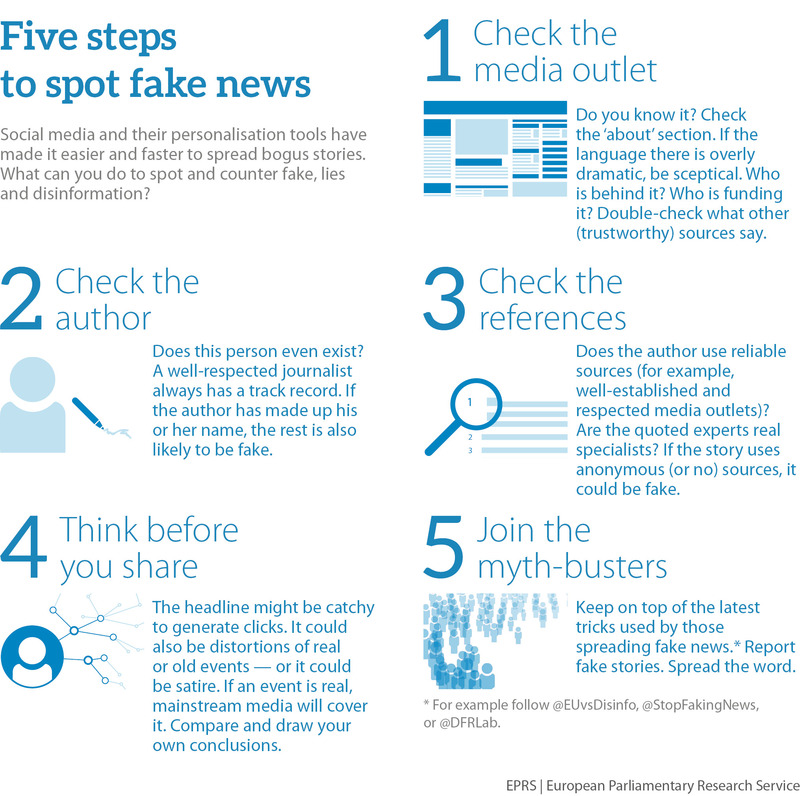 The European Parliament Research Bureau has produced an infographic called “Five steps to spot fake news” giving tips to help you decide for yourself whether you can trust in the veracity of what you are reading. The full briefing is available here.